Disability Employment Services (DES) is the Australian Government’s employment service that supports people with a disability, injury or a health condition to prepare for, find and keep a job. DES providers can offer advice to employers, and support them in implementing practices that assist the employee in the workplace. 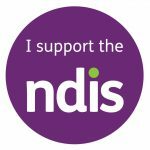 Providers of Disability Employment Services (DES providers) are a mix of small, medium or large for-profit and not-for-profit organisations. Find more information about DES on the Government’s Job Access website. Living with a disability and need help finding meaningful work? Looking for reliable and inspirational staff to support your business growth?